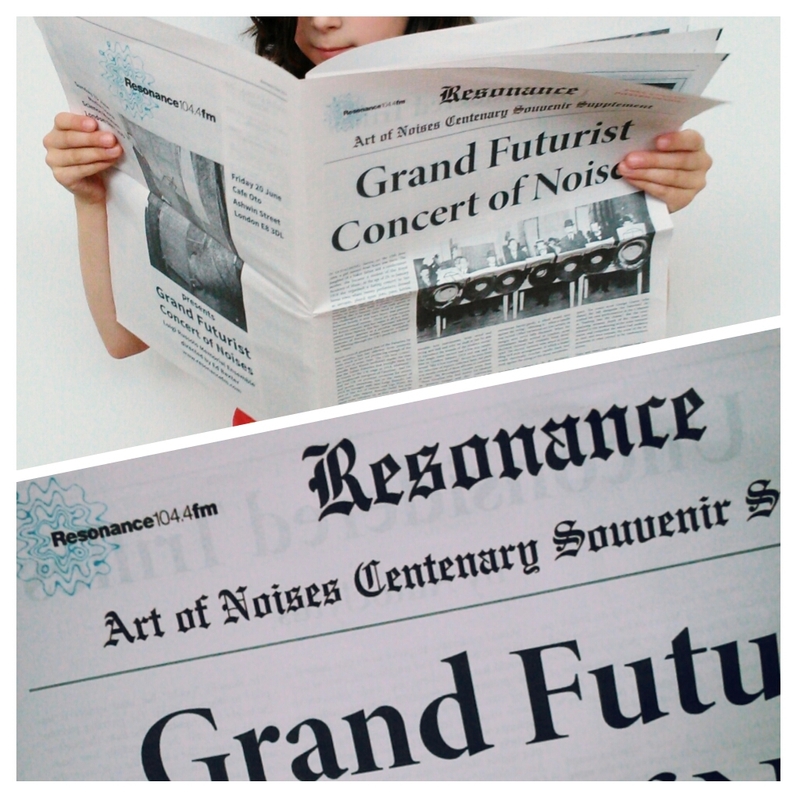 On Sunday I went to the Grand Futurist Concert of Noises at London's Science Museum, an event held by Resonance FM to mark the centenary of the first Futurist Concert staged in Britain on 15th June 1914 in accordance with Luigi Russolo's groundbreaking manifesto The Art of Noises (L'arte dei Rumori). I wore a dress made of fabric with a print of vintage bus, tram and train tickets (a new creation to be blogged soon) reckoning this would be in concord with Futurist ideas of speed and progress, but later reading Dan Wilson's Art of Noises Centenary Souvenir Supplement in which Marinetti's ideals for futurist clothing are set out I regretted not wearing this dress instead. Never mind, the concert was brilliant! 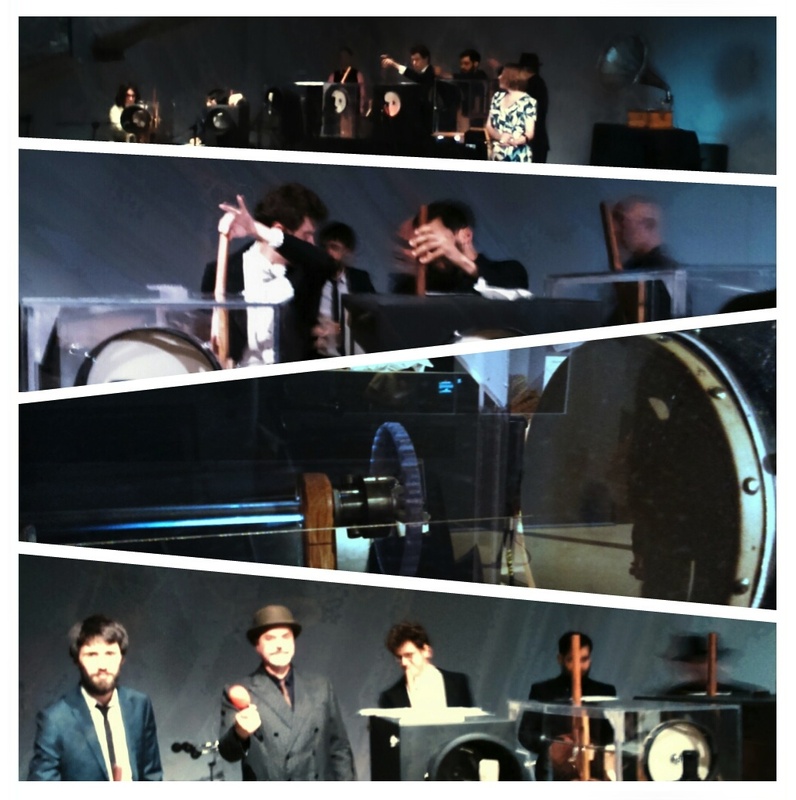 On hand-built instruments (large scale noise making machines called intonarumori built to Russolo's original designs by Peter McKerrow with modifications by sound artist Daniel Wilson), vintage horns, theremin and playback devices broadcast through Aleksander Kolkowski's immense Exponential Horn, The Luigi Russolo Memorial Ensemble caused a tremendous commotion! It was exhilarating to hear and the audience roared in approval. Afterwards we were invited to try out the instruments and joined the long queue to have a go on Sarah Angliss's theremin. 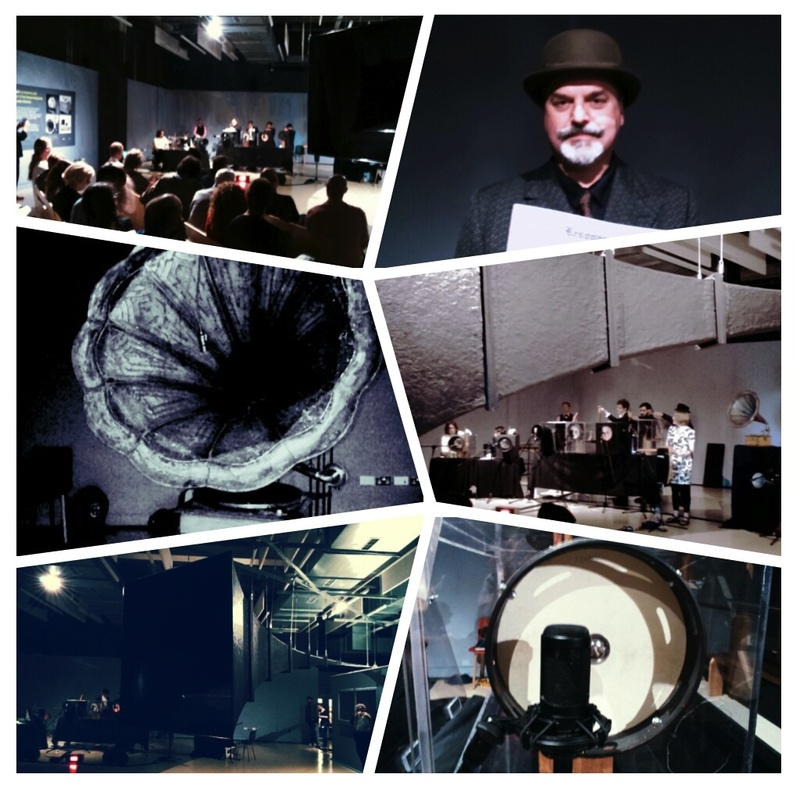 The Grand Futurist Concert of Noises is directed by BASCA Sonic Arts Composer of the Year, Ed Baxter and performed by Marcos Gomez, Peter Lanceley, Peter McKerrow, Michael Umney, Dan Wilson plus Aleks Kolkowski (vintage sound effects), Adam Bushell (percussion) and Sarah Angliss (theremin). The ensemble will perform for a final time on Friday 20th June at Cafe Oto, Ashwin Street, London. If you're at all able to travel to London you'd be mad to miss the sonic event of the century! The Exponential Horn is the UK's largest audio loudspeaker and will be installed at Science Museum until 27th July 2014.